This practical guide provides basic need-to-know information for parents and professionals and answers frequently asked questions about dyslexia and related learning disabilities. Addresses many of the issues surrounding dyslexia, including possible causes and subtypes, means of testing, remediation and the controversial question of �staying back� to repeat a grade. Example case studies illustrate these issues in context. The author identifies possible classroom accommodations for dyslexic students in a range of subject areas. The book also includes a list of useful resources that will help parents explain dyslexia to children, as well as a glossary of technical terms. This complete introductory guide to dyslexia is a must-read for parents, especially parents with children who are newly diagnosed, and for all those who work with dyslexic children and their families. Parents with a dyslexic child have only had professional references to turn to for much-needed adviceauntil now. The first guide written expressly for parents, Dyslexia: A Complete Guide for Parents provides the unique insights of a noted educational psychologist on what sort of supportive role parents can play in the life of their dyslexic child. The book includes a description of dyslexia, how its identified and assessed, examples of different approaches parents can adopt, and a range of useful resources. This new edition looks at the description and definition of dyslexia, and its assessment, as well as the history of the concept and current findings. Aspects of cognitive psychology and their relationship to dyslexia are also covered. The CD Rom has 20 case studies. The Resources book provides essential information about children with a variety of diverse abilities that educators will be teaching in today's schools. It provides information about the disabilities themselves and ways to plan for and includes these children in regular educational settings. The latest edition of this bestselling text," Strategies for Teaching Students with Learning and Behavior Problems" provides practical, immediately-useful strategies for teaching students, managing professional responsibilities, and collaborating with family and other educators. 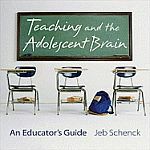 This book is based-on current research on the best practices for providing instructional and support services to students with learning and behavior behavior in a variety of settings. The sixth edition contains more applied teaching strategies than ever before. There is also an increased integration and emphasis on the topics of progress monitoring and assessment, diversity and English language learners, and family involvement, discussion of which are highlighted by icons throughout the text.